There it was another ugly, huge blemish on my cheek. I knew something had to be done to regain my smooth, blemish free complexion again. My generic, Walmart skin care products were no longer working for me; my skin had become immune to their efficiency. I didn't know where to go to find the right product or which product not to use on my face. So, I set down and did research on the web as to what is the most popular item. I finally came across Obagi skin care products. Unlike many other face washes, Obagi products were very promising in their safe ingredients and the long term results. Unlike many face cleansers, Obagi uses less harsh chemicals that irritate and dry out the skin. 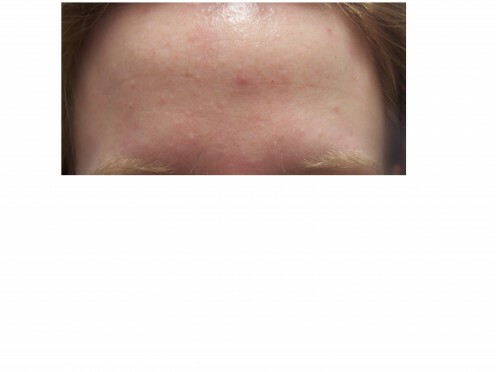 Also, on the Obagi webpage were many pictures of actual results women experienced. They were fantastic. Immediately, I was hooked. I was determined I was going to buy the Obagi Clenziderm acne products, but was cautious as to the effects of this powerful acne cleanser on my sensitive skin. Obagi products come with a warning that they should be used under medical guidance at all times. I tried to medically guide myself on my skin type and, according to my esthetician (a licensced skin care provider), I was completely wrong. After studying the behavior of my skin, I thought I had dry skin. I thought I had dry skin because my face feels very tight and dry around the mouth and eyes after cleaning it. However, later on in the day I become oily along the t-zone area (from forehead straight down nose and chin). Since i have combination skin, I have deep blackheads along my nose and chin. I have tried every blackhead product from Biore pore strips to Neutrogena blackhead cleaners, and nothing has worked to remove them. For these reasons, I decided Obagi Clenziderm would be perfect for my dry skin and tough acne. However, when I met with my esthetician to make sure my self diagnosis would be good for my skin, she told me my skin was a completely different type. Yikes! I could have ruined my skin! Obagi can and probably will ruin your skin if you are not using the right product for your skin type. She put me on Obagi Nu-derm for oily AND sensitive skin. My skin is not dry, but dehydrated, meaning I do not drink the required amount of water daily. Being dehydrated will cause the tightness around the mouth and eyes after washing your face. I begin by washing my face with the Obagi Foam Cleanser. It makes my skin feel refreshed and clean. I thought it would be ineffective because of the gentleness it had on my skin; but, unlike Walmart brand products, the foam cleanser cleans all the makeup from my face, even the mascara. My skin had no reaction to the face wash; there was no tightness, dryness, or redness. The smell of the face wash is pleasant, and slightly tropical. The Obagi Toner is light and refreshing. Like the Foam Cleanser, it made my skin feel clean, yet moisturized. Unlike most toners with an alcoholic base, the toner does not leave my skin dry and thirsty. It does not strip your face of natural oils. Alcoholic toners will strip your face of your natural oils, and then your body tries to replace the oil causing your skin to over produce. When there is a higher oil production, there will be a rise in blemishes, whiteheads, and blackheads. Next, I use a pea size amount of Obagi Clear. It is white, creamy, and odorless. The Clear not only evens out acne scars and freckles, but also moisturized my skin. However, if I put on more than a pea size amount, it does feel like it sits on top of my skin. Though I am only 21 years old, I have sun damage across my cheeks, forehead, and nose, from years of swimming ang going to the beach. With hydroquinone as its main ingredient, the Clear does what its name claims, it clears the skin. I have noticed a very, very slight difference in my overall skin tone. My freckles have dulled slightly, though that may be because i notice the blemishes on my face more. I have several fine lines on my forehead due to my overactive eyebrows. One deep line runs down the middle of my forehead. The Clear is supposed to even out fine lines too. As I have only used the product for a week, I have not noticed a difference in my lines. Obagi Exfoderm Forte exfoliates my skin without having to rub a grainy product into my skin. The Exfoderm Forte is of the same consistency, texture, and smell as the Clear, and I rub a small pea sized amount on to my skin in the mornings. I used to use the St. Ives Apricot scrub, which was great when I had to remove dry skin because of overdrying cheaper skin care products, but the Exfoderm Forte is amazing. It is possibly one of my favorite parts of Obagi. I do not have to scrub my skin raw to remove the dead skin. With the Exfoderm, it comes off easily on its own. In the first couple of days, I could literally rub the dead skin off. This does pose a problem when putting on makeup. As soon as i try to put base on over my skin, my skin starts to wipe away. It has started to calm down the last couple of days of the week. If at all possible, try not to wear make up when you can. 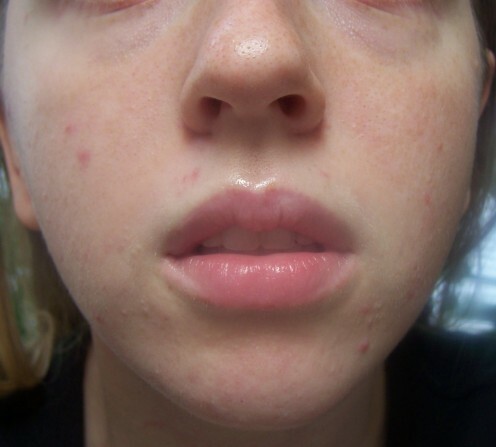 The Obagi Blender and a medically prescribed Tretinoin are used together. Like the Clear, Blender's main ingredient is Hydroquinone; however, it is used with Tretinoin to aid in clearing up acne. The blender smells awful, but it opens the skin up to receive the Tretinoin better than just applying the Tretinoin. Also, use only the dosage of Tretinoin your esthetician prescribes. My esthetician prescribed 0.025% compared to the 0.1%, and I am to use it twice a week. 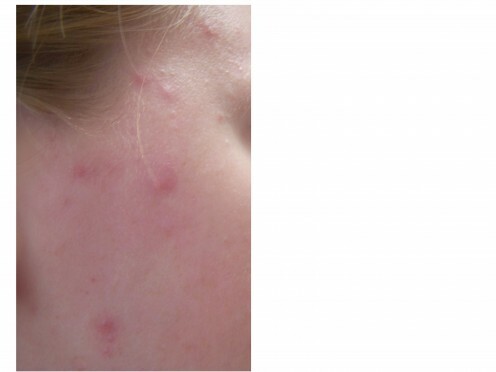 Because it is a high power acne fighter, it would dry out skin too much and cause irritation. Blender and Tretinoin work at deeper levels of skin, so it has brought out more of my blemishes that were hidden deep beneath the surface. Lastly, but most importantly, the Obagi Sunscreen is applied to my face and neck. 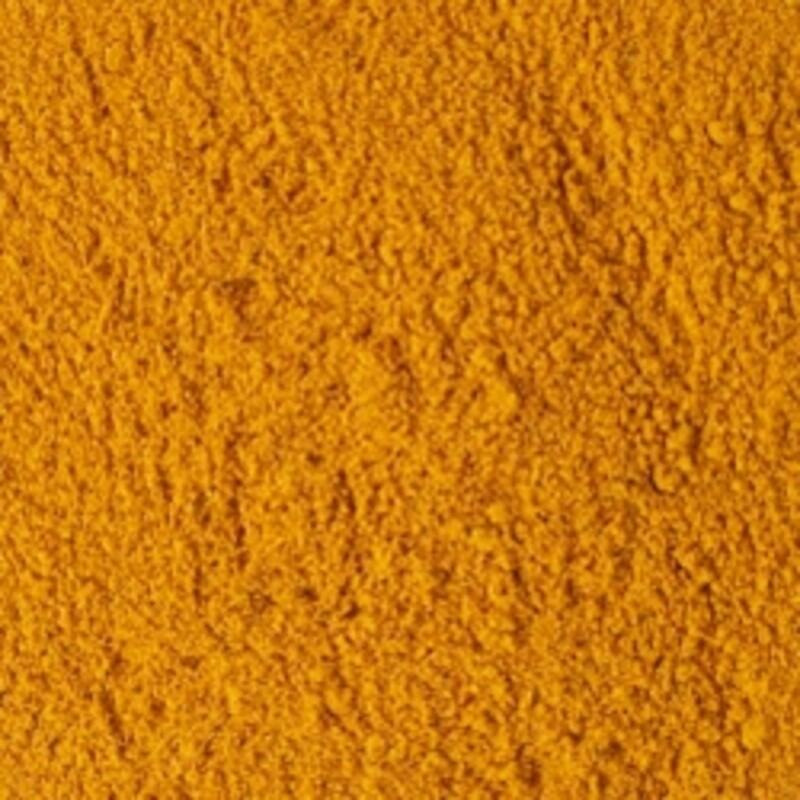 It has kept my skin moisturized and protected from any new sun damage and wrinkles. This part of the Obagi is for long term skin care to prevent further sun damage. Since my skin is vulnerable under the Exfoderm Forte and Blender, the Obagi Sunscreen provides extra protection. Also, as its main ingredients have been proven medically to be safe and effective against sun rays, unlike Coppertone and Neutrogena. In this picture you can notice the lines in my forehead, and the whiteheads and blackheads under my skin. Here you can really notice the hyperpigmentation along my nose and cheeks. You can also see the blackheads and white heads under my skin. I noticed the first two days my skin was red like it had been sunburned, but it quickly went away within two days. I think it was because I used the Trenitoin on the first day instead of waiting a couple of days to use it. I would suggest waiting for your face to acclimate a couple of days before using the Trenitoin. Over the course of a week, the blemishes on my face became worse. The esthetician said this would happen as a lot of my acne was under the skin. Not only did I have blackheads in my t-zone region, but also white heads under my skin all across my face. 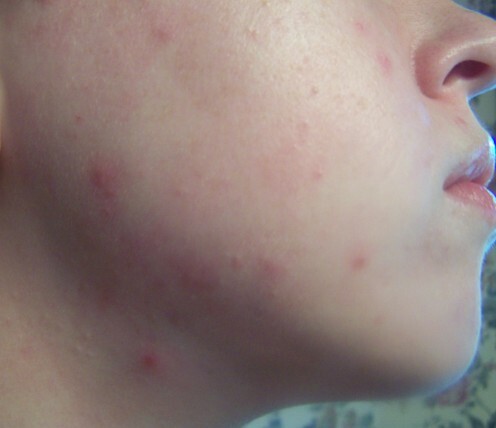 I noticed that the more concentrated the white heads were in an area, the more acne I had appear on the surface. My skin was purging itself. I had hardly any dryness on my face. If I had any dryness, it was around the edges of a where a blemish had been treated. In fact, my face actually felt more moisterized, a little oily (almost like lotion was on my face all the time), but definitely not as oily as Walmart products had made my face. I didn't notice any strange reactions or cystic acne as some reviewers had mentioned. My skin is extremely sensitive to everything, so this was a great surprise. My esthetician diagnosed my skin correctly and saved me from a heap of trouble. So far, I really like Obagi skin care products. Now, I will be very brave and post the photo results of using Obagi week one. These are untouched, except for cropping, and definitely without makeup. Note: This is not a medical guide. Please, seek an esthetician for advice first. If you are having a horrible reaction to the skin care products, it may be because you are using the wrong products for your skin type. 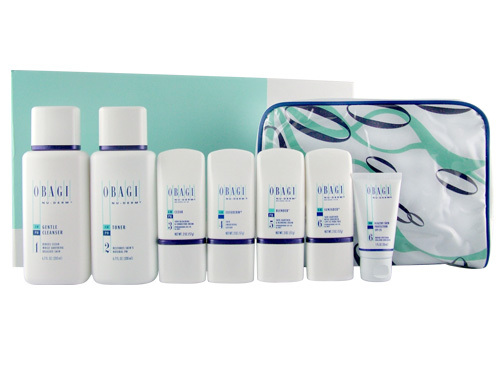 Click here for more information regarding the Obagi Nu-derm Systems. I'm using the obagi kit but for some reason throughout the day my skin gets very very oily. Can someone let me know how I can stop this? "my face you could say is abou the same as day one, but different at the same time. "...That's exactly how I feel about my skin at the moment. It must be getting rid of all the under the surface acne/problems. I'm only on my second week so I shouldn't expect any miracles yet. My face is quite red and I'm noticing less peeling but more blemishes (boo hoo). Just gotta take a deep breath and keep going with this. But the great news is I have always had very very deep blackheads. Nothing could get them out not even biore strips. And obagi has brought these to the surface and they are just popping out of my skin. So what you are seeing is the deep acne that was under the surface just coming forward and out. Just keep on going with the treatments, my face you could say is abou the same as day one, but different at the same time. The drying has decreased now that I'm on my second week. I think it was weird for me to see that much peeling/dry skin. I'm on my second week and I'm noticing a few new spots/blemishes. Did you have the same thing happen? Perhaps it's because the skin is being renewed and it's getting rid of any hidden problems under the skin? If the drying is really bad there is Obagi Action which is designed specifically for dry skin. Thanks again! I'm going to minimize my use of Obagi Blender and Tretinoin...it has dried my skin way too much. So the most drying products are the Blender and Tretinoin? Did you use any other non-Obagi products for your dry spots? I realized I was supposed to avoid putting all those creams on my mouth &amp; nose area...and it's super dry now. I'm thinking of applying Nivea cream. Just wondering if you had done anything similar for the really dry areas? Morning: Obagi Foam Face Wash, Obagi Toner, Exfoderm Forte, and Obagi sunscreen. Twice a week: Obagi Blender, and Tretinoin. hey thanks for posting this. I just started using Obagi 3 days ago and your progress is definitely is keeping me motivated to keep on using the products. I'm starting to get dry skin around my mouth/chin area. I'm using the system daily, both night and day as recommended by my dermatologist. How often did you use the clear, exfoderm, blender, tretinion...on a everday basis or did you skip a day?